These people belong to a photo club. 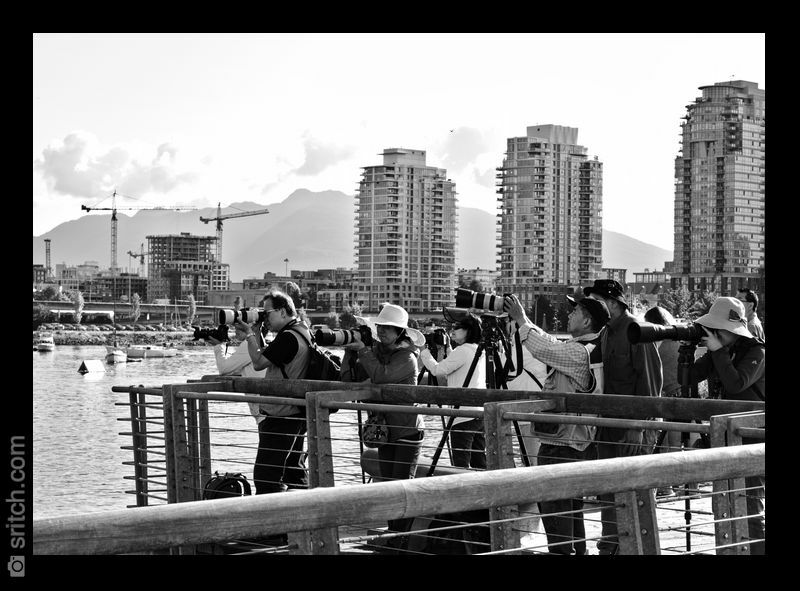 They came to make photos of people rowing in False Creek, Vancouver, BC. There were 2 groups. This group was the ‘more bunched up’. 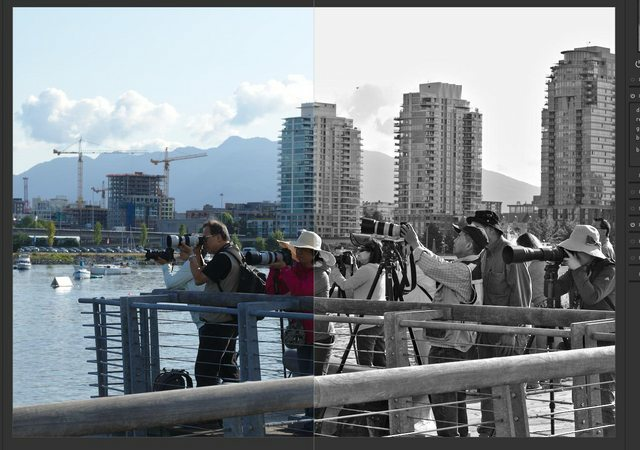 ¾ of these photographers were guys and the other ¼ were women but all of them where in their 50+. The vast majority of these photographers were using Canon with 2 or 3 of them using Nikon cameras. Only one person was using a mirrorless. It was a Sony A7II with some adapter for his Canon lens, but he was not happy with the autofocus missing far too many photos (I could hear him complaining to his neighbour). Half of the people were using tripods. My problem with tripods is that once they are ‘planted’, people (including me) stay where the tripod is planted.